Get these peep-toes to glam up any look you pick this season. 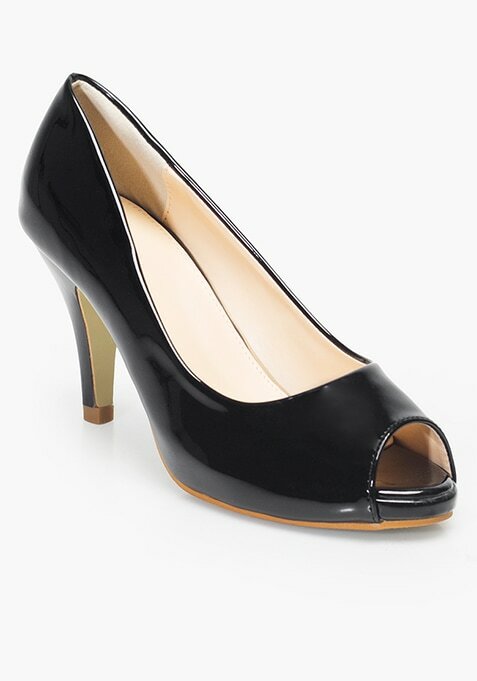 Features faux patent leather body, midrise heel and glossy finish. Work It – Looks extra special with an LBD and envelope clutch.